This is the first part of a series of which I read the second book “The Echo” first. I hoped that maybe there’d be some explanation to some things that bugged me in the second book and that’s why I read it. In this book there’s a spacecraft that is travelling at warp speed (something I don’t remember being actually said out loud in the second book, but that’s one worrying aspect less), apparently just so that it could go as far as it can with about half the fuel and then turn around and go back. However, it’s more just a psychological thriller set in space – the crew and what happens to them, and mainly about what happens to the journalist Cormac Easton. It is interesting in some ways for sure, the whole premise is quite nice, but I can’t tell more about it to avoid spoilers. As a slight explanation for the second book in the series it’s fine. I doubt I would have wanted to read the second book if I’d had started from the first one. I think that “The Echo” really is the superior book and hope the following part/s will be as well. The book surprised me by actually being surprising – you get used to what’s going on, and something happens to turn everything upside down. 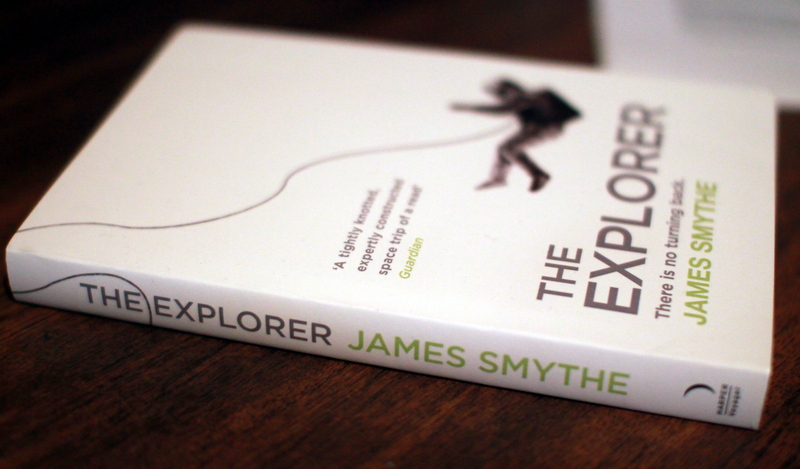 This entry was posted in Fiction, Science Fiction and tagged book review, James Smythe, The Explorer. Bookmark the permalink.